Hello Techies, How are you all? Many of you have queries regarding keywords. How to start with keyword research? 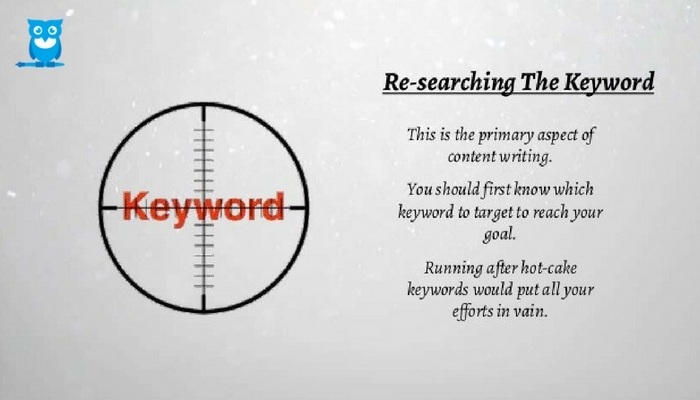 What to do after keyword research? Where to put targeted keywords in website content? How to do the combination of keywords to rank them? Which keyword phrases to use most for ranking? All these questions will be answered in this post. Appropriate phrases and keywords are the fundamental pillars on which effective website content is created. 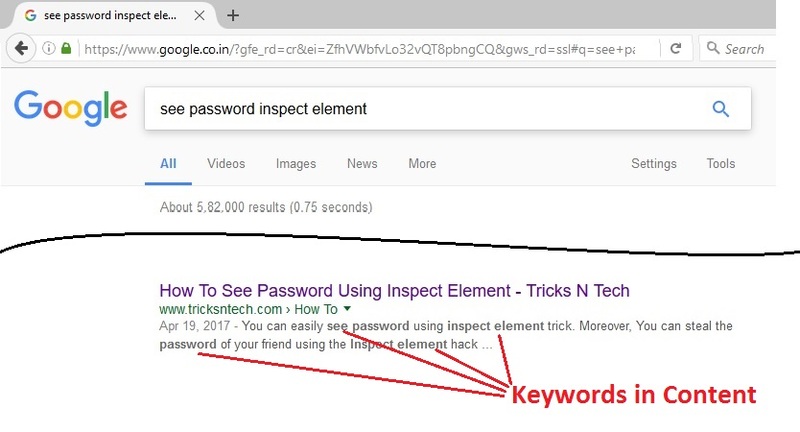 Thus, if there’s a lack of well-selected phrases and keywords on the website, spiders from search engines and search engine users won’t find you easily. This has been proven on a number of occasions when a scarcity of targeted keywords has led to little or no traffic. A specific example would be a seller of art textbooks, who just inserted the word “book” in his site content and Meta tags. He did not show up, in the first 17 pages of the search result. Now which user has the patience to see up to Page 17? This is why putting keywords in the right places is important. So, you should do first keyword research for the article you will post. 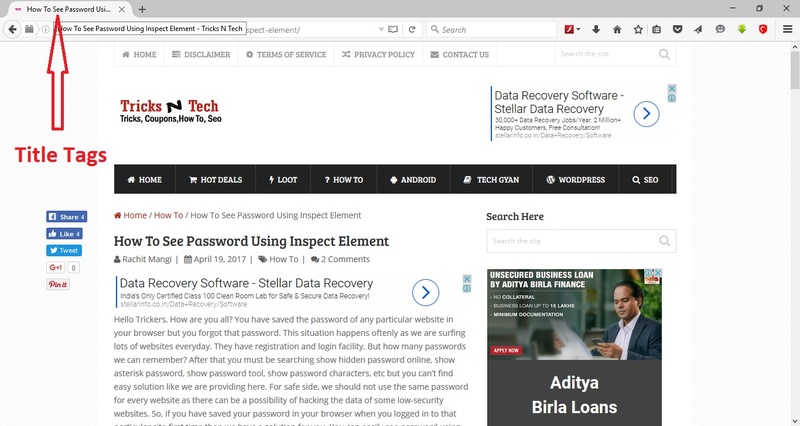 Now, We will come forward for the main thing about putting keywords in the website content. 1 How To Put Keywords In Article? How To Put Keywords In Article? A great place for using keyword phrases. This comprises of words seen at the browser window top, and are grabbed by search engines grab for title displays in search results. See in the below image to get proper idea about it. So obviously, it’s a very important component of your SEO strategy. Here, You can see that Title Tags appears at the browser window top. Here, You can see that search engine grabbed the Title Tags which I searched, appears in the title of the search result. Most people tend to scan Web pages hastily. And that’s what makes headlines so important. They give the reader a gist of what they need fast with minimum fuss and, more importantly, compels him to read on. 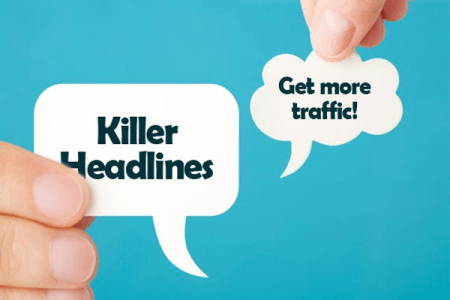 So, Killer Headlines will help you to get more traffic to your article as well as blog. Placing keyword phrases appropriately on the site content can be tricky business. This is because it’s easy to just write a keyword phrase where ever it might apparently seem to fit in but may give the sentence a somewhat quirky touch. Avoid stuffing and forceful use of keyword phrases. Rather, let them fit in naturally. A little practice and experience will help you achieve that. Keywords in content will help you to get good SERP ranking. Your keywords in content can fetch as meta description for the search query. You can see it in below image. Appropriate keyword usage is best left in the hands of experienced professionals. Contentmart is one such site that provides content specialists with wide SEO experience who know how to place and use keyword phrases to invite more traffic and to convert them into effective leads. You can brief empanelled Contentmart writers on your exact requirements and they’ll accordingly weave in the keywords to yield the best results. You could also place the keywords in the H1 tags; the article’s first or last sentence/paragraph; subheadings by way of a contents table with jump links, if the content is long; image file names as also alt text; meta descriptions; and in links to content that’s related. Last but not the least, reading your content over and over again from the keyword perspective is most essential before publishing. If the content comprises long text sections, say, several paragraphs in one single row, where the keyword or its variations don’t appear, try and gauge if the keyword is truly relevant to the content under review. On the slip side, ensure that you aren’t plainly sprinkling the keyword at your own free will. Reading the text aloud to a third party helps in seeing if it sounds natural. Remember, the final goal is higher rankings and increased traffic. You are also responsible for providing a grand user experience to every person visiting your site. Thus, make sure that all keyword phrases used, serve their purpose to the fullest. If you know any other things related to putting keywords in the article then share it with us in the comment section. But it is impossible to add keywords in all posts. Then what to do ? It’s not impossible. If you have chosen a particular topic then you can certainly put keywords related to your topic in your post.